Actor Nana Patekar on Wednesday paid tribute to BSF jawans, who lost their lives in ceasefire violations and encounter. 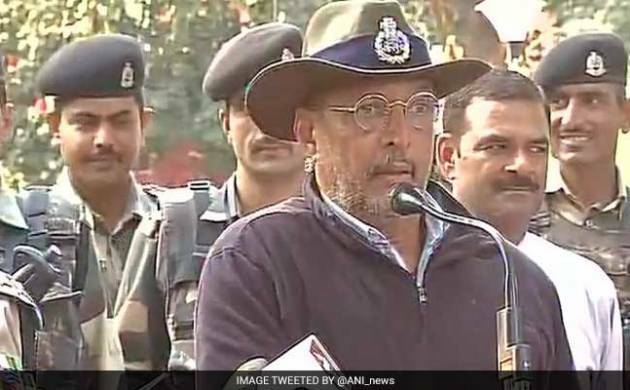 Patekar was accompanied by IG BSF, D K Upadhayaya in Jammu where he remembered jawans at the BSF frontier headquarter. “The soldiers are our real heroes, they fight battle everyday to protect the integrity of the nation,” Patekar said while interacting with the jawans of Border Security Force (BSF) in Kathua district. Patekar was on a day-long visit to the Indo-Pak International border in Hiranagar and Kathua where he appreciated the hardships and sacrifices being made by the BSF jawans during the recent cross-border firing. He is second actor after Akshay Kumar who visited BSF troops in Jammu and pay tributes to the soldiers. Patekar on Wednesday visited Border Out Posts (BoPs) and interacted with the troops guarding the border in Kathua district.